Today 1.5 billion people—mostly living in slums in developing countries—lack formal identification. That's one in every five people on the planet, functionally invisible in the eyes of the world, trapped in what the World Bank calls the "identification gap". Without identification, their economic opportunities are severely limited. There is no silver bullet, but thousands of organizations, and governments all around the world are trying to deliver the critical and essential services in education, health, and finance needed to end poverty. Instead of deploying billions of dollars towards this fight, funds are getting wasted on challenges in identification. 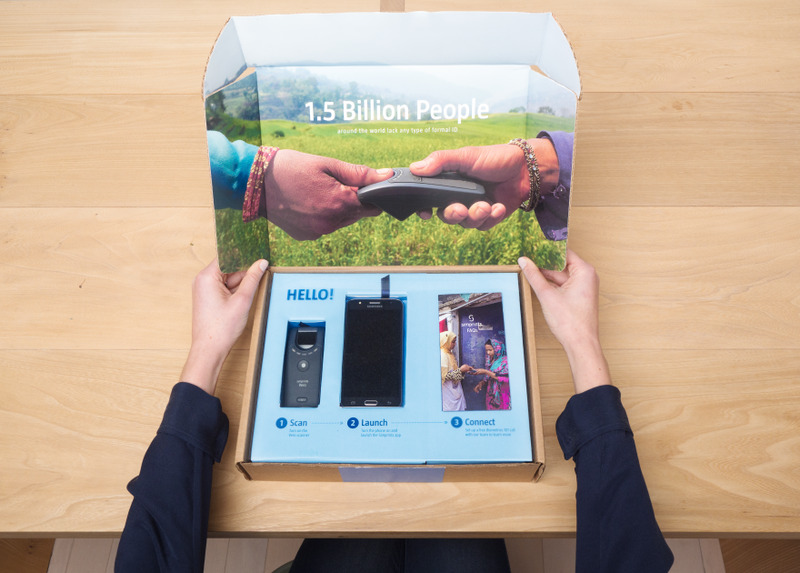 Enter Simprints, a small startup that recognized that unlocking this identification bottleneck could change the lives of millions; potentially 1.5 billion one day. Their guiding principle: every person counts. Confronting this opportunity head on, the team began by developing a mobile fingerprint scanning solution at a Cambridge hackathon. Initially focused on one of the most pressing challenges, maternal health, this plug-in application was designed to be used by medics in the developing world, to access the digital health records of patients. And yet there are plenty of solutions out there that have tried to solve the same problem; even creating similar scanning solutions in the process. So Simprints set out to be a more attractive answer: resulting in being 228% more accurate, and 4 times cheaper than other products on the market that are neither precise, affordable, or mobile enough. Simprints technology plugs into existing digital tools increasingly used by NGOs, with software that can process the scarred, worn fingerprints typical among the world's poor. Designed to scale from the start, it leverages ISO standard interoperability - meaning it can stand alone, or plug into existing systems like India's Aadhaar scheme. It supports, rather than duplicates, government efforts. However, the team also realized something crucial in their approach - that technology can only be as impactful as the experience that surrounds it. In order to be truly effective where others were failing, they needed a design partner to bridge this 'last mile' on the frontline of healthcare, and ensure each and every medical interaction would deliver a tangible result. Smart Design, with their heritage of creating meaningful human-centered design solutions that have real-world impact, was the ideal partner to help tackle this. Leveraging Smart's expertise as a pioneer in inclusive design, the new partnership strived to design for extreme conditions, and ensure we could be effective for everyone - from patient to health care worker. We identified and solved for each gap - including language barriers, diverse environmental conditions, varying levels of tech literacy, and the range of cultural customs within the communities we wished to serve. Through this human-centered design lens, together we implemented a solution that contributes to Simprints' vision of the world as they intend it to be: where every person counts. The result is a seamless identification experience for healthcare workers and patients, now being implemented globally, providing crucial ongoing tracking of patients and lasting outcomes. 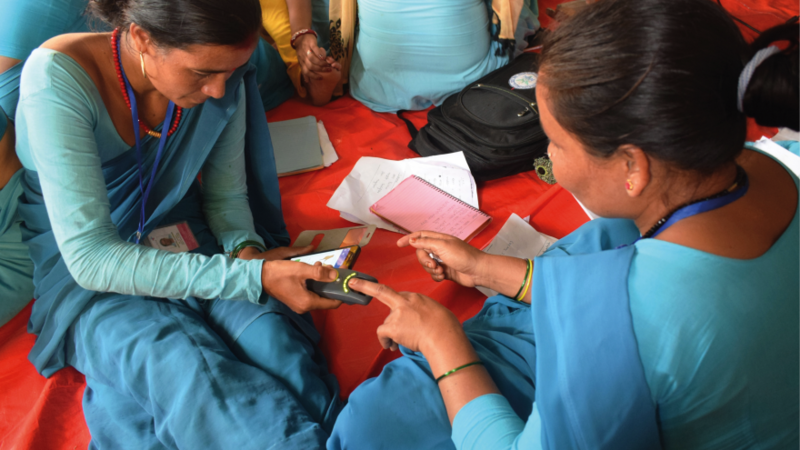 Designed to empower people and projects that deliver the life-changing services needed to increase incomes, Simprints is a low-cost biometric system that uses people's natural identifiers—their fingerprints. The software algorithms are optimized for developing world fingerprints—often scarred, worn, and damaged—something the biometrics industry has never done. The ultimate service experience is crafted in a way that ensures all healthcare workers can reliably identify their patients via a mobile app on low-cost smartphones. Each user is intuitively guided in how to scan a patient's fingers, and correctly identify them within a large database that often has thousands of people by the same name. Smart leveraged Simprints' extensive knowledge of their patient population to streamline this overall process, and guarantee the easy retrieval of health records at each and every patient visit. Critically, we strove not to deliver design, but to guide Simprints on how to make it happen by empowering them with design thinking capability. This sets them up for exponential success in the future, by training the Simprints team on a wide range of new design research tools, protocols and techniques so that they can continuously facilitate innovation for their organization, and ensure the ongoing success each phase. 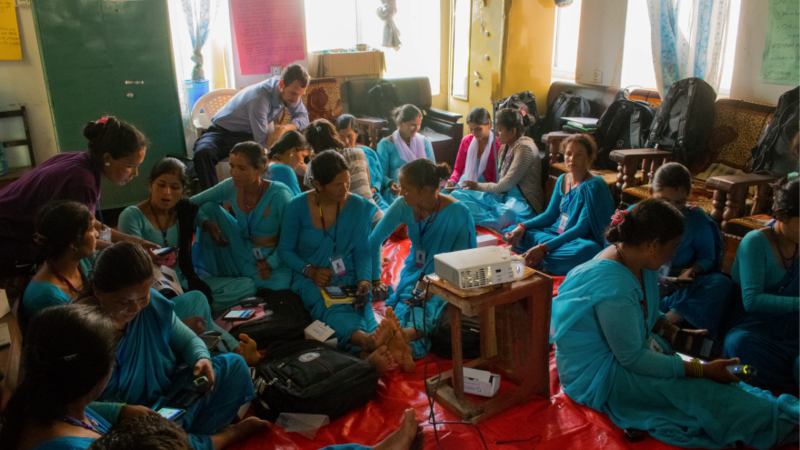 By piloting these solutions across different use cases with healthcare workers and patients in Bangladesh and Nepal, Simprints has built confidence in their user experience. 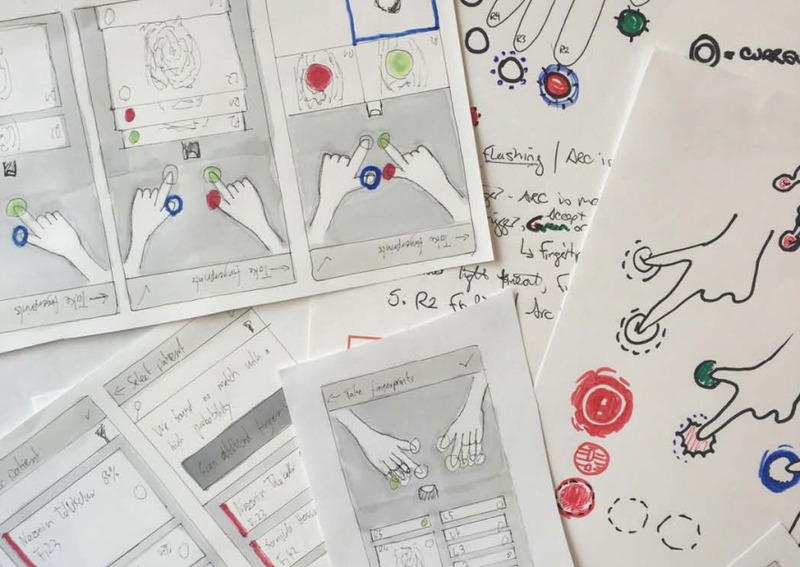 Smart Design involved Simprints in every design step, including feedback across digital and physical touchpoints, and in defining the UX of the scanner and the app through a service design process. The system is designed to be ergonomic, mobile, rugged and resilient, and combines with a seamless, holistic end-to-end user experience that can be implemented effectively by everyone involved. The Simprints technology integrates seamlessly into the major mobile platforms like CommCare, ODK, and OpenMRS that are used by thousands of social-good organizations.The user flow of the product-service guides novice users step-by-step and allows expert users to continue at their own pace. It also accounts for cultural norms such as the amount of interpersonal space permitted between the patient and healthcare specialist during their appointment interaction. 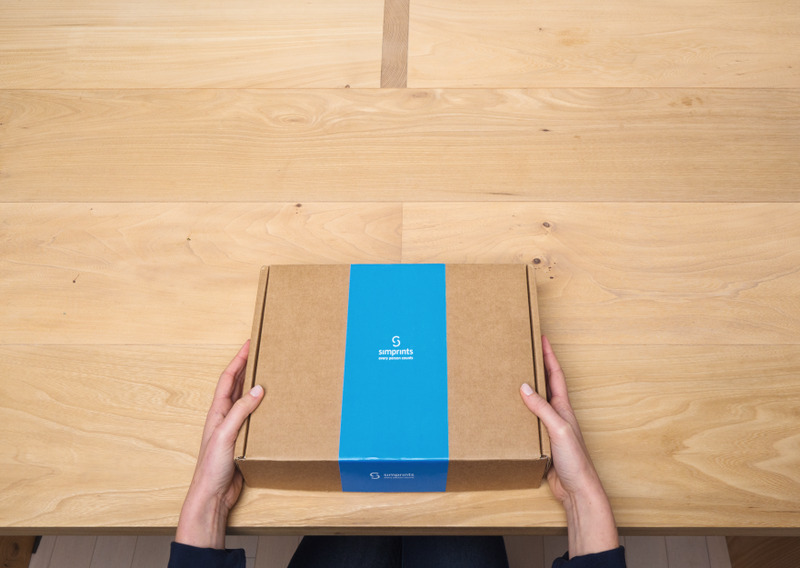 Earlier this year, we went on to help Simprints design packaging that still held true to their mission and principle: affordable, secure, rugged, and working in the world's toughest settings. Armed with new methodologies, Simprints can now reach and catch at-risk patients so they don't continue to fall through the cracks. Simprints' initial area of opportunity was in maternal health. "Simprints solves a major challenge in our efforts to reach the poorest mothers and children. 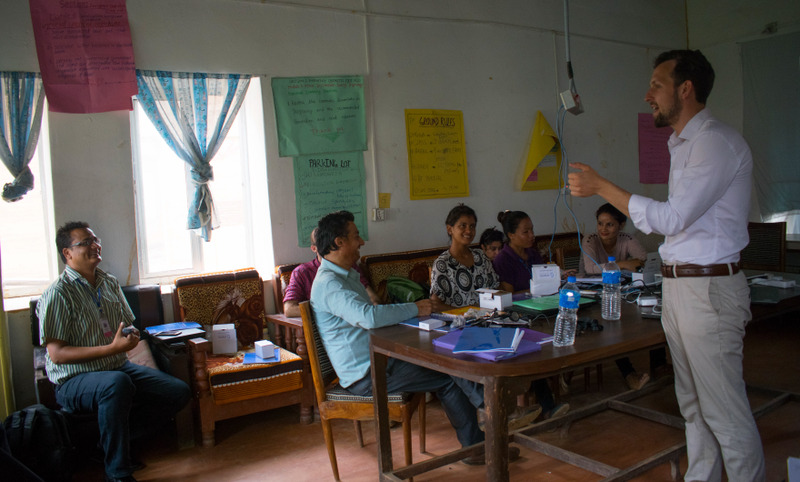 We have worked closely with their team for years since R&D began in 2014, and we believe this solution has been designed from the ground up to be context appropriate, cost-effective, and scalable" – Dr. Kaosar Afsana, Director of BRAC Health Program. There are plans to evolve these design solutions and expand beyond health, touching on other social issues such as microfinance, loan identification, and agriculture. By guiding Simprints through the 'last mile' of design and empowering their team with design capability, we have been able to bring the power of design to one of the world's biggest problems. In March 2017, after only 7 months from product launch, Simprints has already reached 20k people across three different healthcare projects in Bangladesh, Nepal and Uganda. We have tested Simprints with 125,000 fingerprints across Zambia, Benin, Nepal, and Bangladesh in both urban and rural contexts. This year the goal is to scale up to 10 projects including education, aid distribution and immunization, bringing the service to more than 200k people and scaling exponentially each year thereafter. In the past year, Simprints has been recognized by the UNICEF & Tech Crunch Award for Best Tech, Forbes 30 Under 30 Social Entrepreneurs, and Business Weekly's 2015 Startup of the Year.Put simply by Sharad Sapra, Global Director of UNICEF Innovation, "Identity is a fundamental right of every child. A cheap, open-source biometric solution like Simprints could become the first source of providing ID to hundreds of millions of children without identity now. It can allow these children access to services and protection from harm - something that they do not have today." Smart Design: Nathaniel Giraitis - Strategy Director, Junior Castro - Principal of Engineering, Semi Lee - Senior Interaction Designer, Heather Martin - VP Design, Francesca Dwyer - Program Manager, Stephanie Yung - Design Director, Kirsten Climer - Design Director, Edward Laganis - Engineering Director, Catie Cheek - Industrial Designer.